During the holidays, we gather with loved ones to celebrate, reflect on the past year, and look forward to the next. 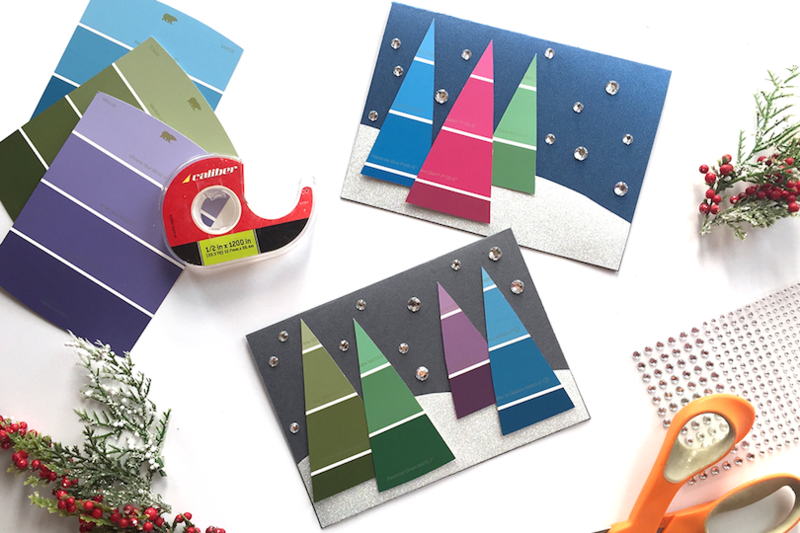 This year, give your holiday cards a personal touch by creating handmade greetings – it'll be fun for the whole family. We’ve provided the instructions, we figured we’d save you the energy. 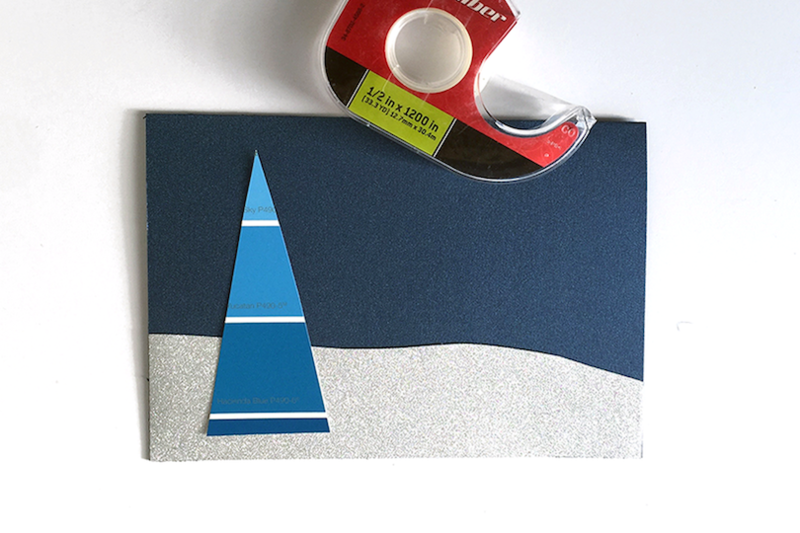 View our tutorial below and make your own holiday cards in just a few minutes. Thank you, and here’s looking forward to many more years of collaboration, inspiration and innovation. 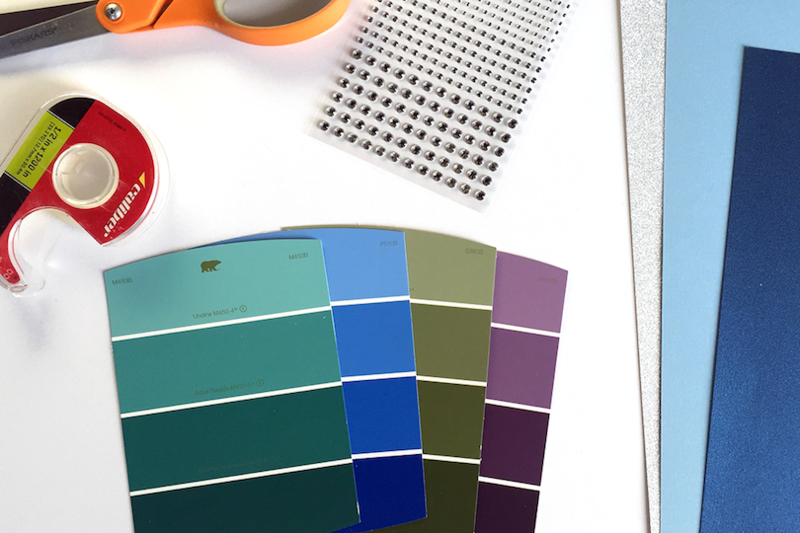 You’ll need: Paint chips – you know, those paint sample cards left in your kitchen drawer from painting your hallway last summer. Card stock. Sticker rhinestones. Double sided tape. Scissors. 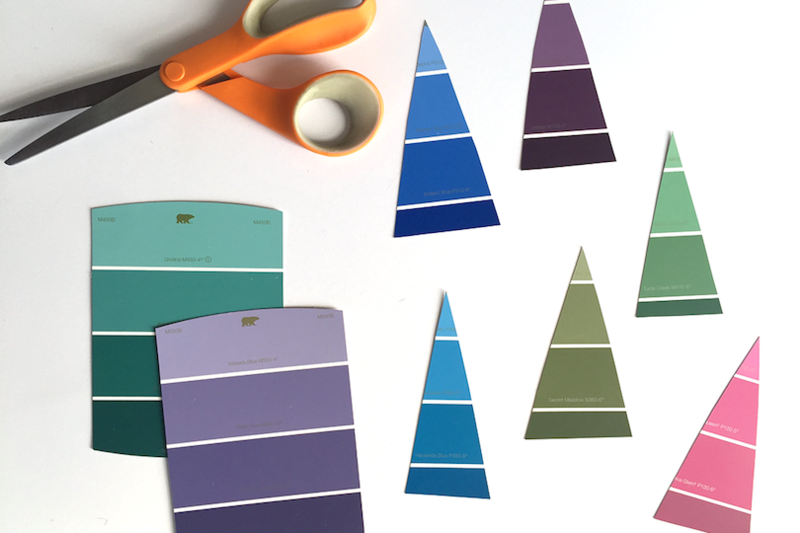 Cut out triangles from the paint chip. Don’t worry about the words showing, this way, people will know you repurposed paint chips and think you’re clever! 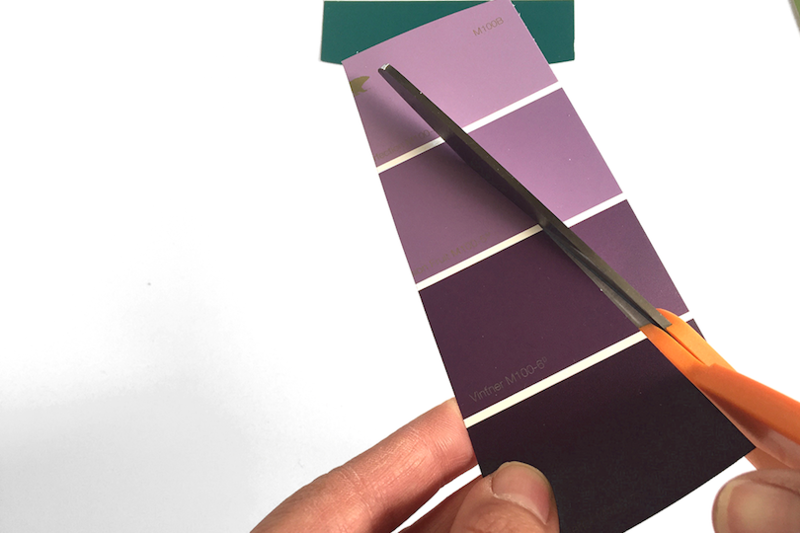 Fold the card stock and use a contrasting card color to add some depth to your scenery. And use double sided tape to attach the pieces. Make your scenery as dense and colorful as you like. 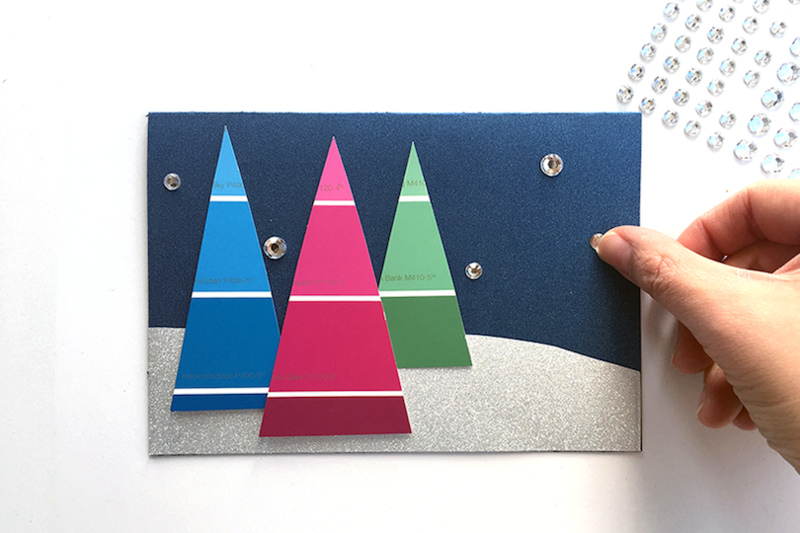 Add sticker rhinestones to really make your card shine. 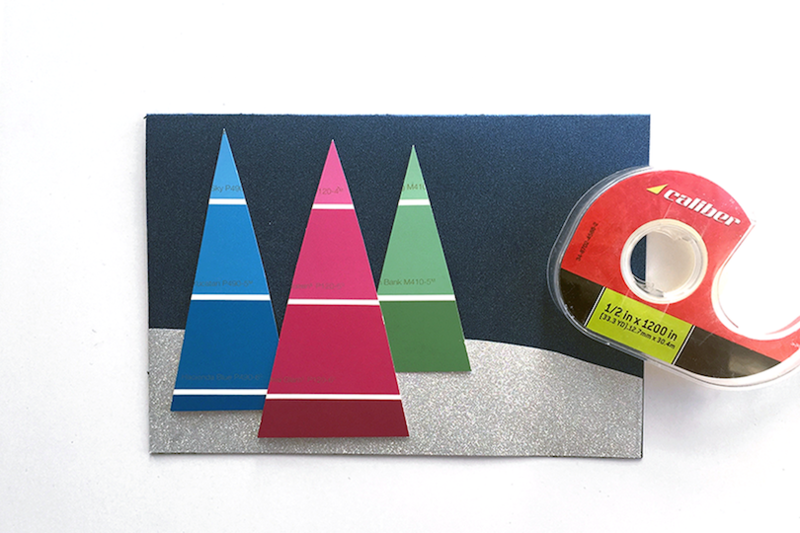 User tip: if you use a dark card stock, cut out a piece of white paper and tape it to the inside of the card to write on.